The 4th of July has quickly come and gone and now we are all in post holiday mode. For many of us that means getting back to healthy eating. 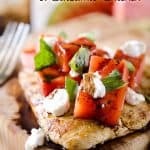 This grilled chicken, watermelon and goat cheese is the perfect way to get back on track without sacrificing any flavor! For the 4th we spent the day at our friends’ lake home and it was perfection. 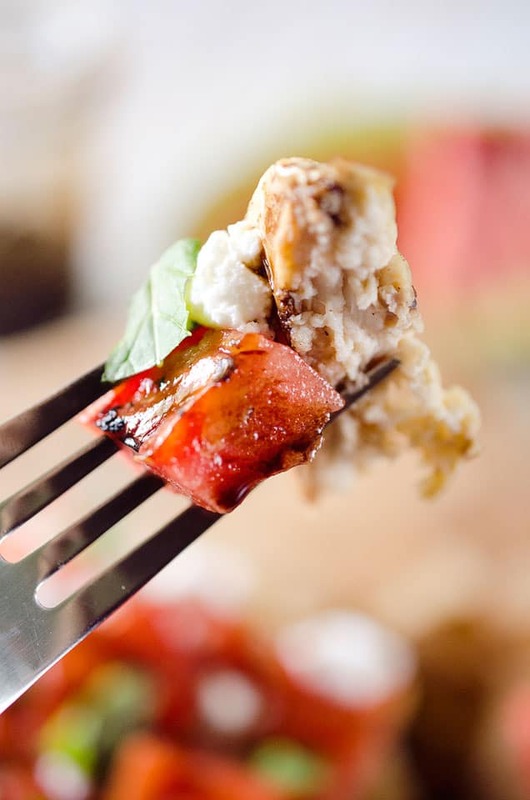 For the indulgent holiday eats, we enjoyed everything from sweet Pina Colada Sangria and snicker salad, to shrimp, steaks and Crab Pasta Salad (<-my husband has already requested I make this for him!). We ate very well and enjoyed every bite of it! Apart from just eating our way through the day, we had a good time on the lake. I tried out Julie’s new paddle board and was hooked. I am trying to figure out a way to convince my mom to get one for the lake behind their home. It is not only a good time, but a great workout. My muscles are already sore from my few short trips I took out on it! Maybe we shouldn’t talk about me trying to dock the JetSki though…let’s just say the dog got between me and the lift and I tried to break but instead hit the gas… Thank goodness the dog was quick and was left unscathed! To end the night we enjoyed some fireworks. My husband is really just a large child when it comes to things like this. Unfortunately I think he was a bad influence on Julie’s husband and they enjoyed lighting off the fireworks a bit too much. Despite their semi-pyro ways, the fireworks were beautiful. In all my years, I can’t recall a 4th of July without lighting off fireworks, so it was a great way to end the holiday! 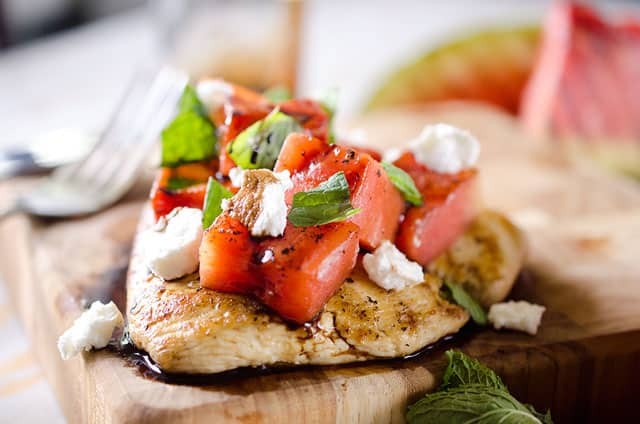 Grilled Watermelon & Balsamic Chicken is a tender chicken breast topped with grilled watermelon, soft goat cheese, fresh mint and a drizzle of balsamic reduction for a fresh summer meal that is healthy and delicious! 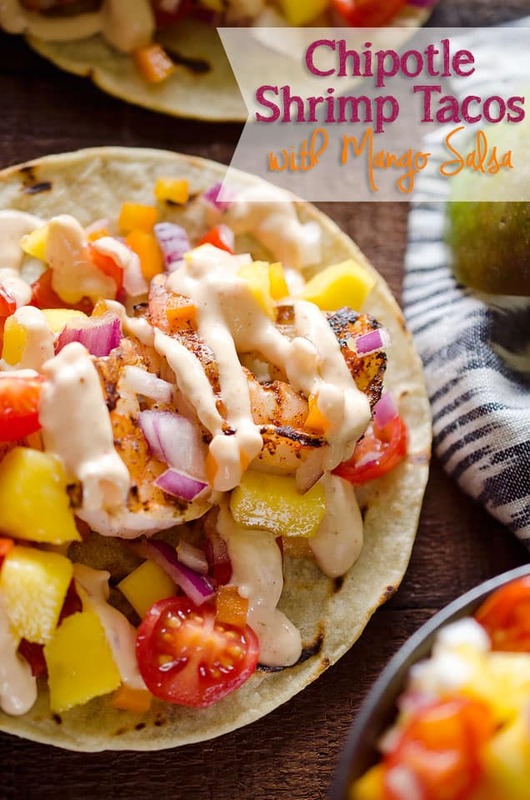 Heat your grill to medium. Season the chicken breasts with salt and pepper and cook for 6-8 minutes or until they are no longer pink in the center. 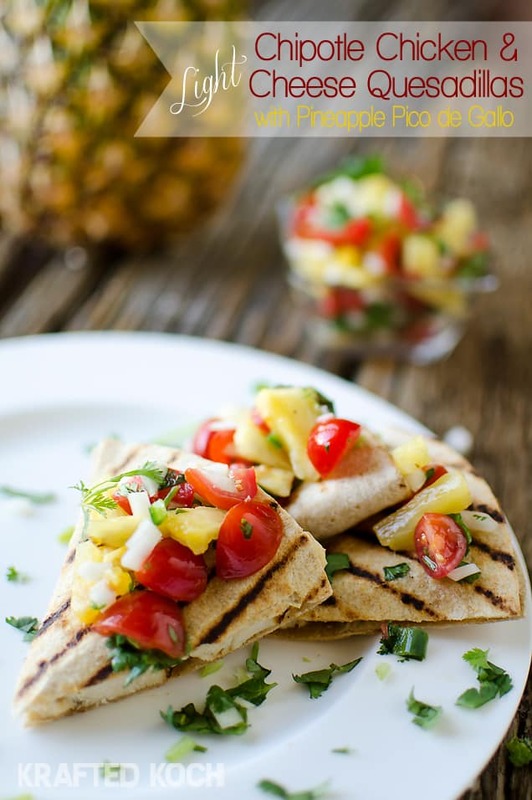 Add the wedges of watermelon to the grill and cook 1-2 minutes on each side, or until grill marks are evident. 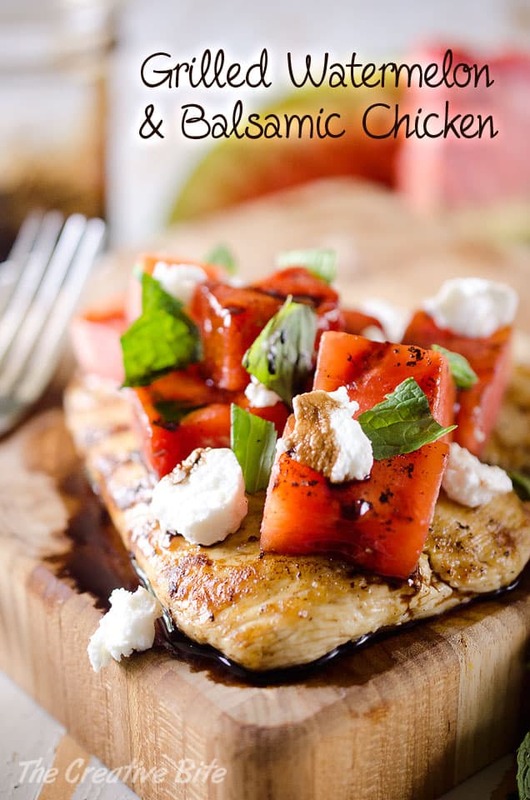 Remove the chicken and watermelon from the grill and allow the chicken to rest for 5 minutes so the juices set. Meanwhile, cube the watermelon into 1 inch pieces. 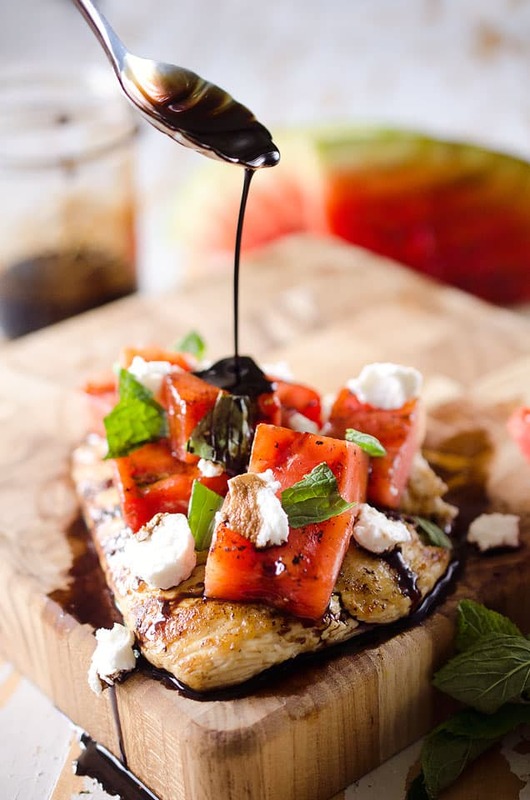 Top the chicken with watermelon, goat cheese, mint and balsamic drizzle. Serve immediately. 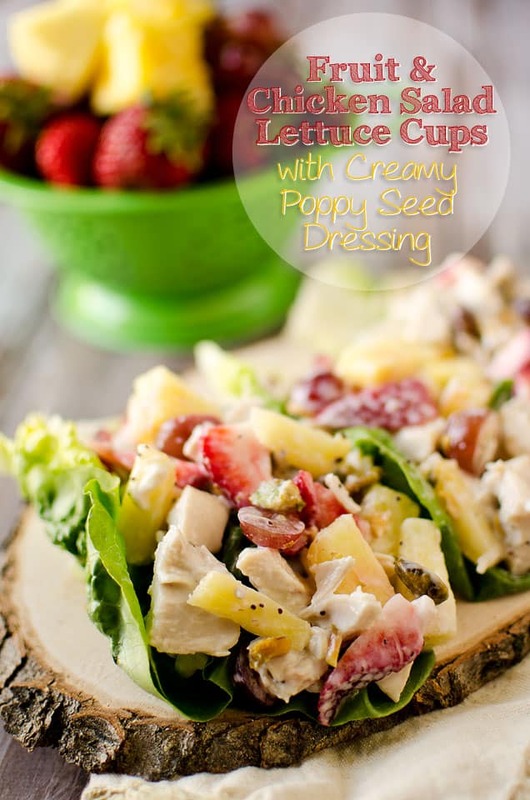 More dinner ideas with fresh fruit!